This is the third installment in the popular Drupal Themes series that I created for Packt Publishing. 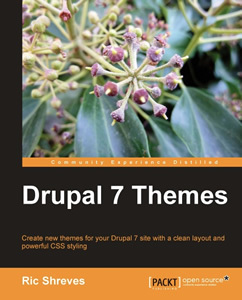 Drupal 7 Themes is an ideal introduction to theming with Drupal 6. If you want to create a striking new look for your Drupal 6 website, this book is for you. 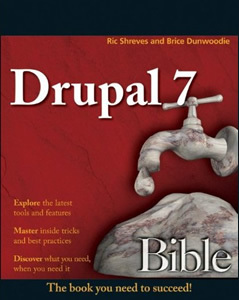 This book is an extensively revised, updated and expanded edition of Drupal 6 Themes, written specifically for Drupal 7. The book will show you techniques and tools to help you improve the look and feel of any Drupal 7-powered website. The first comprehensive reference for Drupal webmasters. Co-written with Brice Dunwoodie of CMSWire. The Joomla! 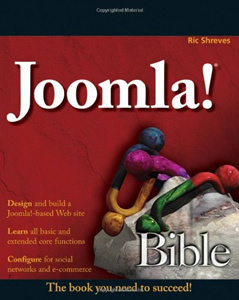 Bible was the first complete guide to building and managing websites with the Joomla! open source content management system. Posted by Ric Date August 13, 2009 Category Joomla!